It is with great sadness that we come to know that our founding father, Mr Lee Kuan Yew, is no more. Like many Singaporeans, our hearts were filled with deep sorrow and overwhelming grief when the news of his passing reached our ears on Monday morning. Here is a man to whom we owed much to. Join us for an evening to offer tributes to our founding father. 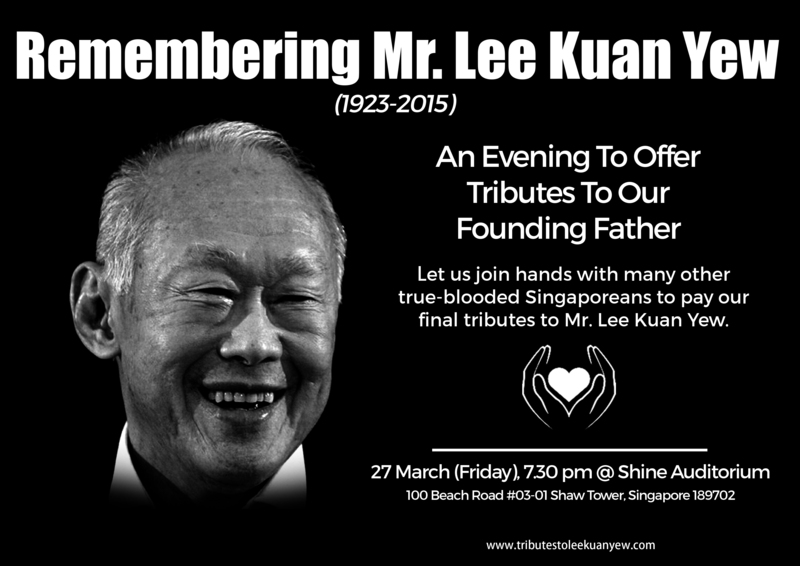 During the night, there will be reciting of poems, tribute performances and video screening of Mr Lee. It will be a night where we remember and honour his passing, and also, to celebrate a life that was dedicated to a cause greater than himself.